Technology further enhances the level of performance of the Turismo Veloce 800 Lusso, with semi-active electronically controlled suspension, heated handgrips, concealed GPS sensor and central stand as standard features. 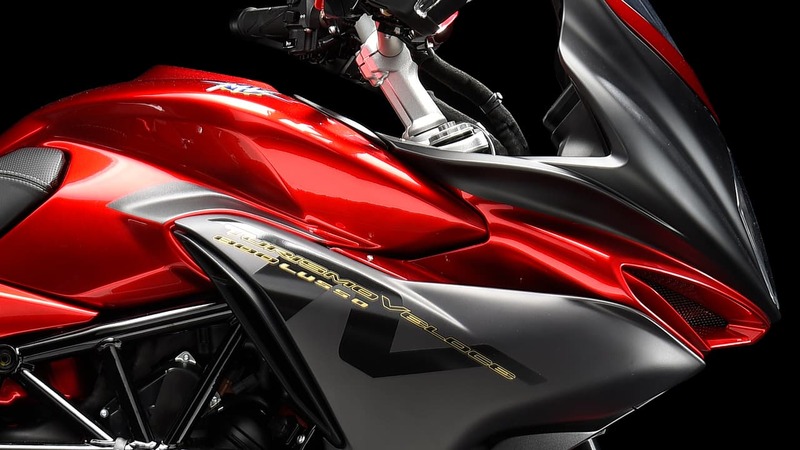 Every single detail is unmistakably MV: from the compact side panniers, to the distinctive fuel tank, stylishly aggressive but with enough capacity to take you far away, including the new full LED headlights and the hand guards with built-in indicators. Aggressive and compact, yet comfortable and always under control. Turismo Veloce Lusso represents the perfect combination for sheer riding pleasure and endless travelling. A modern explorer with the unmistakable elegance of an MV. When performance meets comfort. Enjoying the typical MV riding sensations does not necessarily mean giving up long, epic journeys. Turismo Veloce was designed precisely to satisfy both aspirations without compromise. The result is a true tourer with a racing soul. 81 kW (110 hp) at 10.150 r.p.m. * A feltüntetett fogyasztói ár tájékoztató jellegű. A fogyasztói ár az EURO árfolyam alapján változhat! Az árváltozás jogát fenntartjuk! The heart of the Turismo Veloce is the pulsing 800 cc three-cylinder engine derived from the F3. 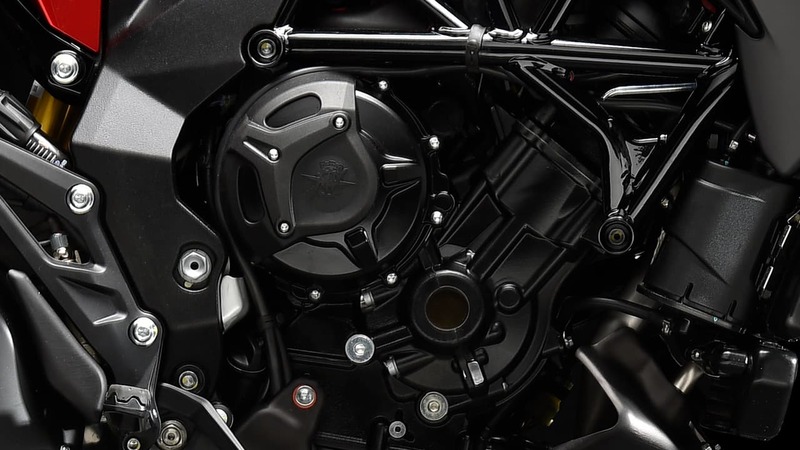 It has a counter-rotating crankshaft, a unique feature in a touring bike that ensures unparalleled riding pleasure. We could not resist including a slipper clutch, worthy of a true racing thoroughbred. 110 Hp at 11.500 rpm and 83Nm torque at 7.600 rpm: powerful and lightweight. The torque curve was designed to be as smooth as possible for maximum riding fun, with 90% of total torque available already at 3.800 rpm. 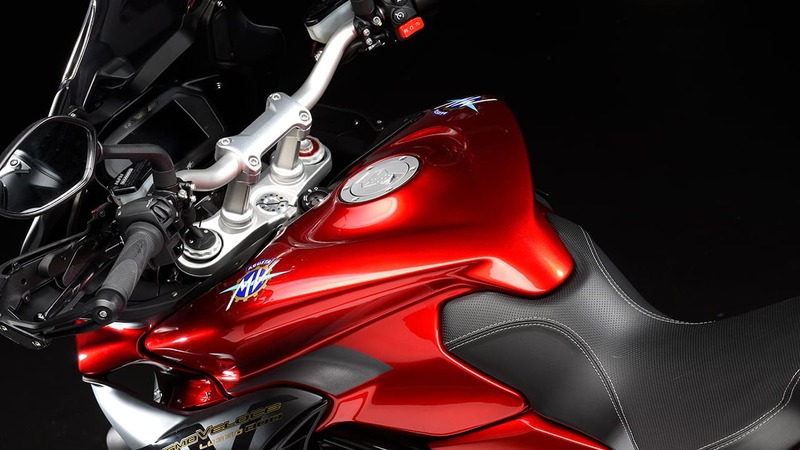 Like its racing sisters, Turismo Veloce 800 features the MVICS electronics system with a full multi-map Ride by Wire throttle, and an 8-level traction control system. 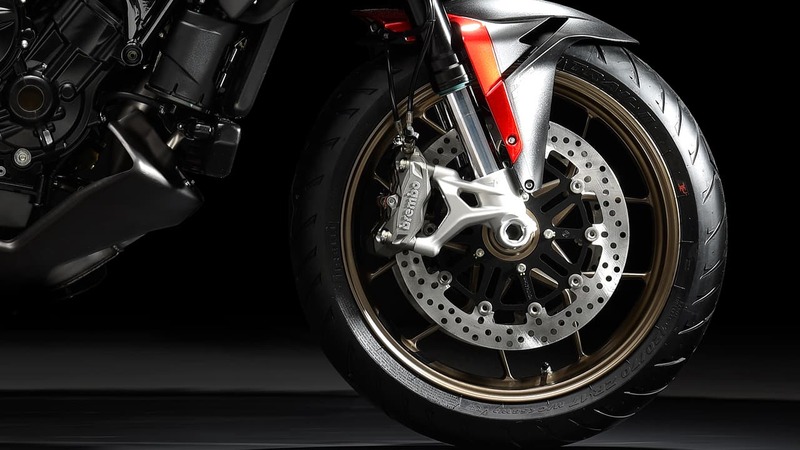 It is also the only bike in its category to feature the sophisticated EAS 2.0 electronic up & down gearbox and inertial platform as standard, also active when downshifting, mated to a hydraulic-activated slipper clutch.